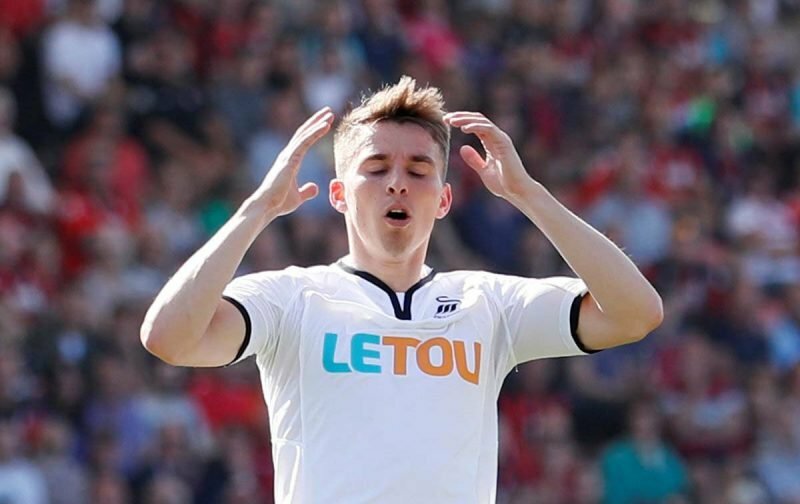 I’d been playing with quite a few ‘Fer’ related puns tonight in anticipation of announcing his arrival, but to the best of my knowledge, Swansea City midfielder Tom Carroll’s name doesn’t begin with Leroy. Aston Villa have just announced that the 26-year-old has made the switch to us from the Liberty Stadium on a loan deal with us having a built-in option to buy come next summer and he may be a familiar name for some fans as he’s a youth Academy graduate from Tottenham Hotspur originally. His time at Spurs saw 12 starting appearances and 26 substitute showings, but he made 13 starts and five sub showings in European competition for them. Loans out with Leyton Orient, Derby County, and Queens Park Rangers as he developed further saw him land at Swansea on a loan spell and they turned back to him on a permanent deal in a later season for a reported £4.5million. Having joined them in January 2017 on a permanent basis, he’s notched up 60 starts and 15 sub showings, with a return of two goals. This way wildly left-field, but he’s ours. Unlucky lads you came and tried to get the meatfeast sub and ended up with the ham roll, get stuffed. You kiss your mum with that mouth you fruity bugger, you’re making me hungry.